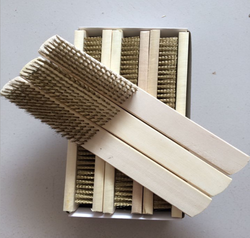 Manufacturer of a wide range of products which include brass wire brush gmp, battery lead cleaning brass wire brush, scratch brushes and brass wire brush wooden handle. 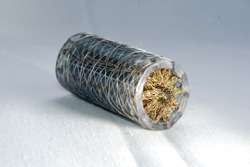 Leveraging on our wide process, we are actively involved in manufacturer and exporter high-quality Brass Wire Brush GMP. Our offered brushes have gained wide acceptance among our clients due to their resilience and user-friendly design. We have achieved wide acceptance as reputable enterprise involved in manufacturer and exporter Battery Lead Cleaning Brass Wire Brush. Owing to their sturdy brass wire, high resilience and rust proof prospects, our offered brushes are widely used in cleaning battery lead terminals. 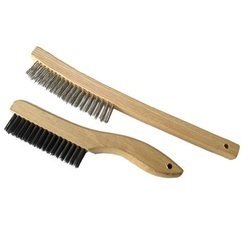 We are expertise in manufacturing a wide range of Scratch Brushes. We are renowned firm exporting and supplying an extensive array of best quality Brass Wire Brush Wooden Handle. These brushes are widely used for cleaning rough surfaces due to their durable brass wire which is corrosion resistant and superior finished. 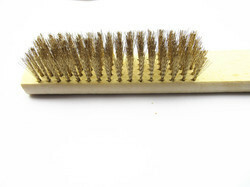 Looking for Brass Wire Brush ?